Hong Kong has a cuisine that is heavily influenced by the various Chinese province inspirations for dishing out great tasting food, and there has been one restaurant that has served as one of the institutional pillars of Hong Kong for over 60+ years: Yung Kee. 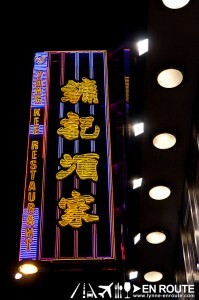 Yung Kee has become quite a big name, that a Google search for “Best Hong Kong Restaurants“, this one almost always lands on top. 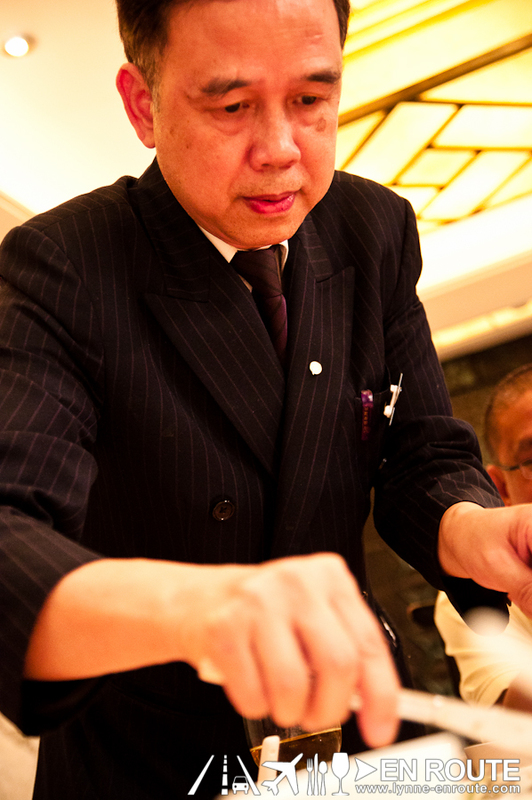 So much accolades have been blessed to this place, that it is one of the restaurants that have garnered both a place in the Miele Guide, and has acquired a highly coveted yet mysteriously controversial Michelin Stars rating. 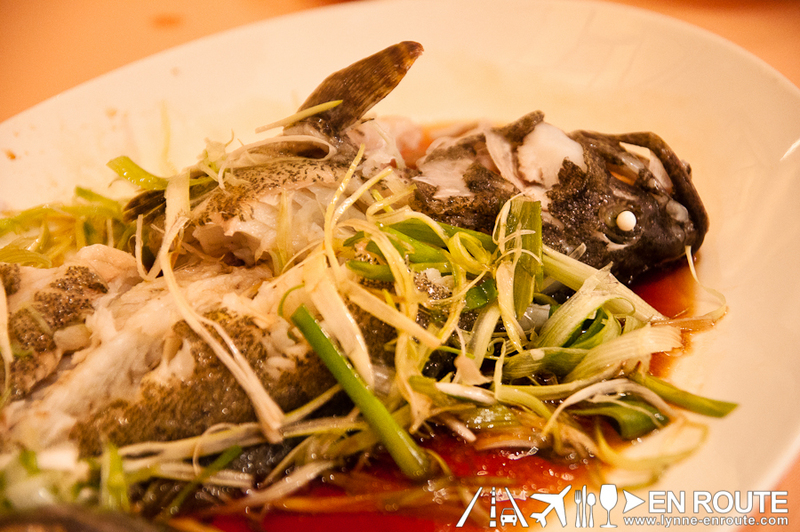 Yung Kee generally serves familiar Chinese cuisine, but they have one specialty that people always order here: Roasted Goose. This is a must when going here, whatever its cost. Reservation is required in Yung Kee. In the past 60+ years, there has rarely been a slow day here. This is already considering that its old place has now transformed into a multi-storey building with the first two floors all for restaurant food servicing. 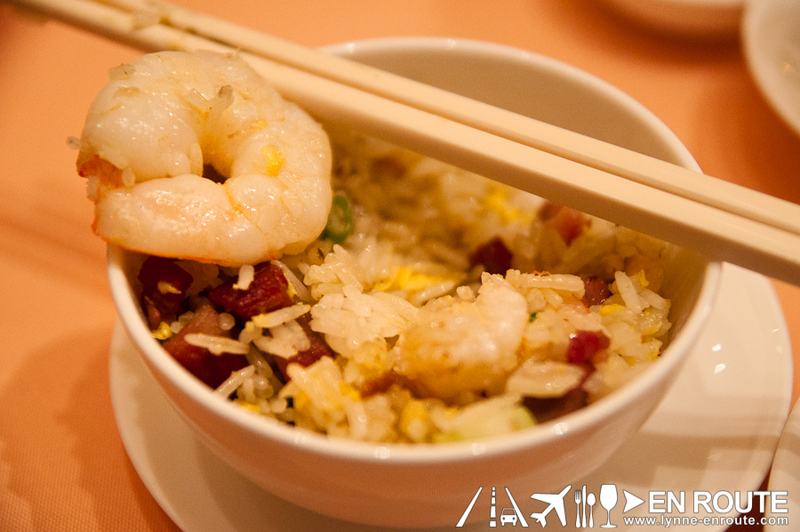 Without reservations, you may find yourself just savoring Yung Kee through it’s limited Take-Out counter. Nothing really much to say about the interiors. 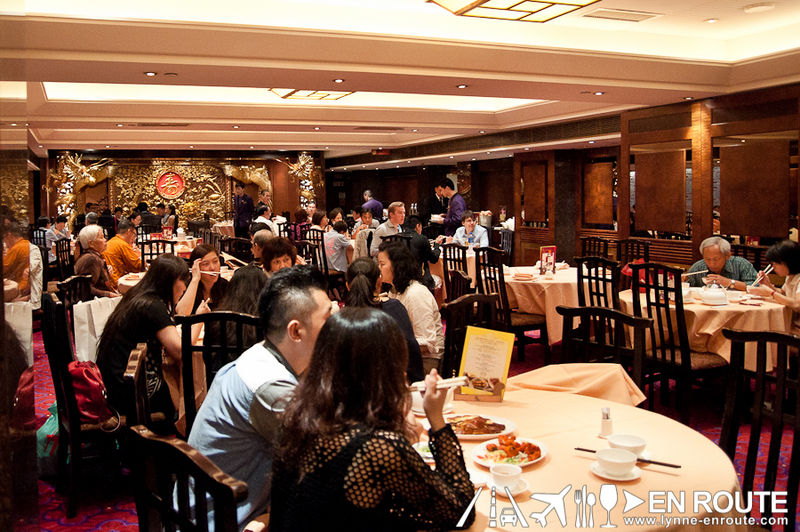 It is like most fine dining traditional Chinese restaurants with the overabundance of maroon, red and gold intricacies in every nook and cranny. 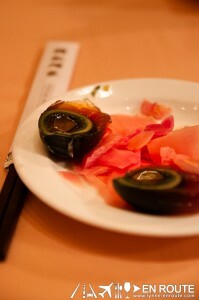 For non century egg eaters, the whole thing will probably throw you off: It’s black, it’s gelatinous, and it has a pungent ammonia scent once you bite it. Those who love it, though, swear by this. Probably it’s like an acquired taste. 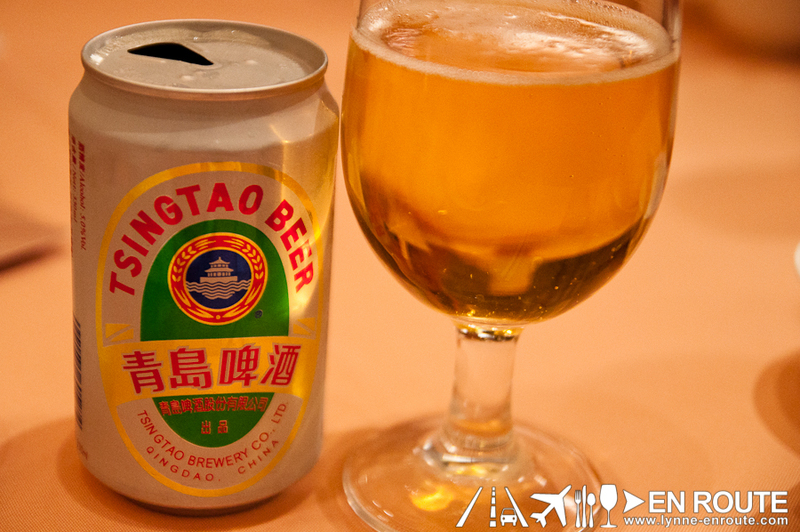 While Tsing Tao Beer may seem like a logical choice since it’s a Chinese based cuisine, it does have a blander taste that may leave you desiring more. 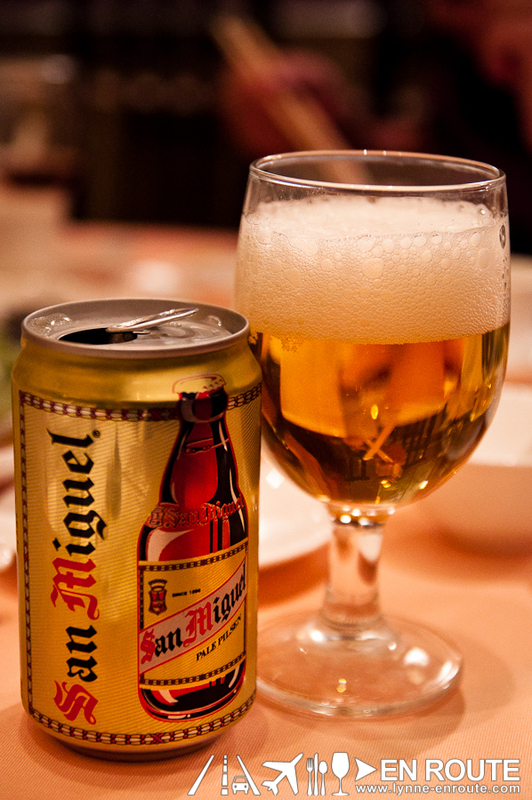 San Miguel Beer is actually one of the popular beers in Hong Kong. These particular cans are brewed outside of the Philippines already. But they still have that crisp, satisfying taste of home. What makes this Roast Goose special? Is it the delicate crisp of the skin? The clean taste contrary to the gamey flavor goose is known for? Is it the glaze? Is it the gravy? Is it that it has been cleaned of any sharp bones? It’s all of the above. 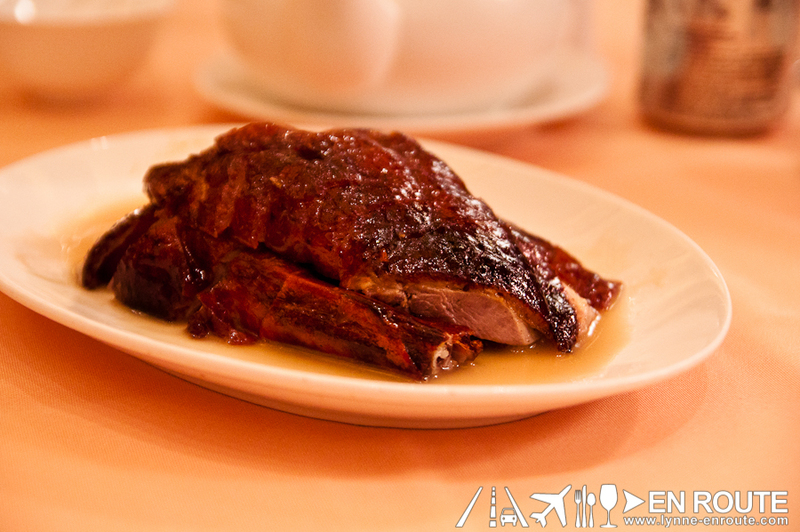 Yung Kee’s roast goose is a taste of a Hong Kong from 60 years back and still withstanding the test of time. 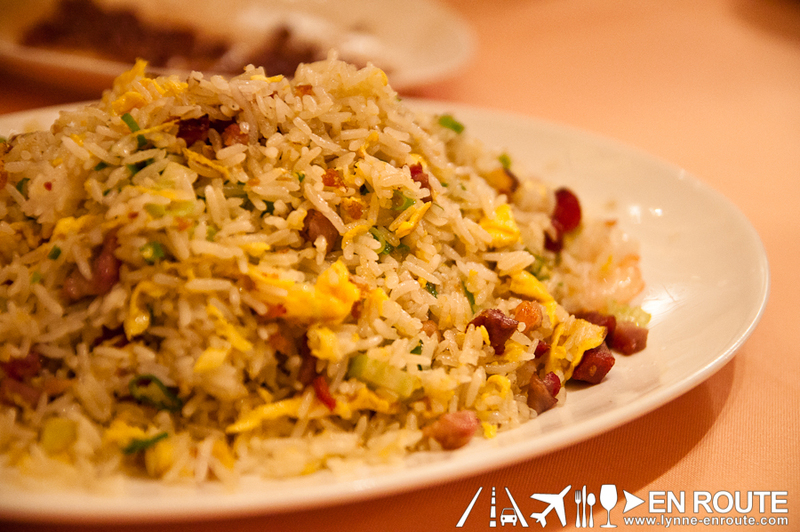 The fresh Garupa (Price differs depending on weight) and Yeung Chow Fried Rice (HK$ 46.00 per head or 243.64 as of this posting) seems to be a standard in every upscale Chinese dinner. The garupa is freshly caught, and is even presented to you just upon catching from their tank, with gills and fins still moving. Sounds cruel, but this is the circle of life. Its sacrifice will not be in vain as the cooking is spot on with the balance of soy sauce and leeks. One thing noticeable about some of the seafood cuisine in Hong Kong is that their shrimps are unusually large. For a place that has not much fishing industry left, it sure has benefited for becoming a global trade center. Still craving for roasted stuff? Get something with four legs this time. 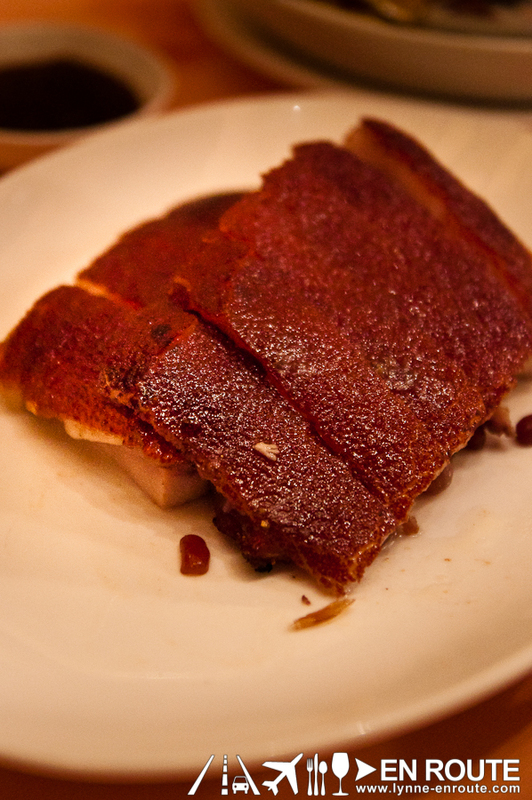 Roasted pork belly (Price differs depending on size). The crunch you get when you sink your teeth into the skin is amazing! 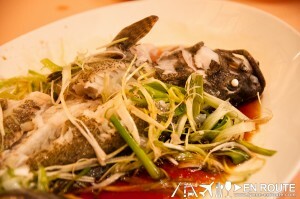 Flavor is what you expect already from a well known restaurant. 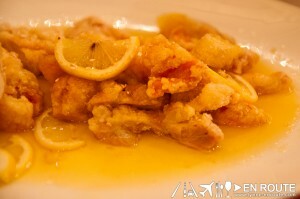 Other things you can get are their Lemon Chicken and this Vegetable smothered in Crab Cream (aligue). This was quite overboard and every pick of the greens sends a bolt of concern for every crab fat you also take in. 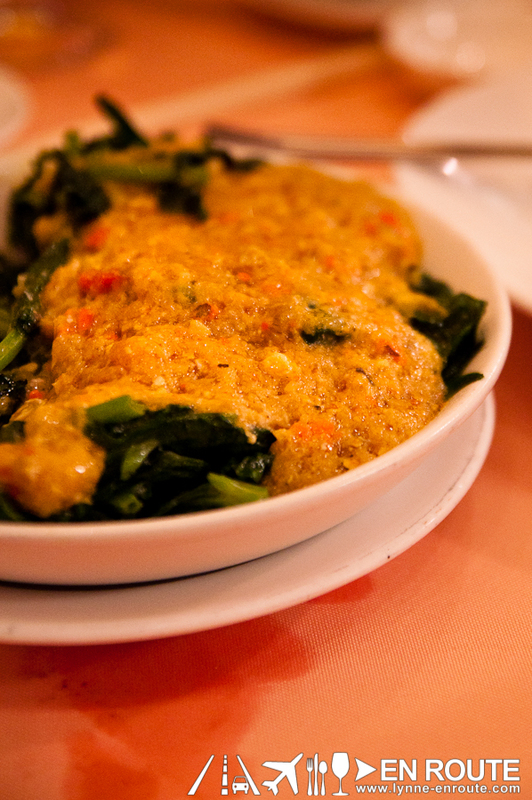 Overall, Yung Kee and its roast goose is all that it is cooked up to be. The other entrees such as lemon chicken, fish and yang chow fried rice seem quite similar in taste with some known restaurants in the Philippines like Gloria Maris, Choi Palace or Hai Shin Lou, but their goose is leaps and bounds what made this place last. 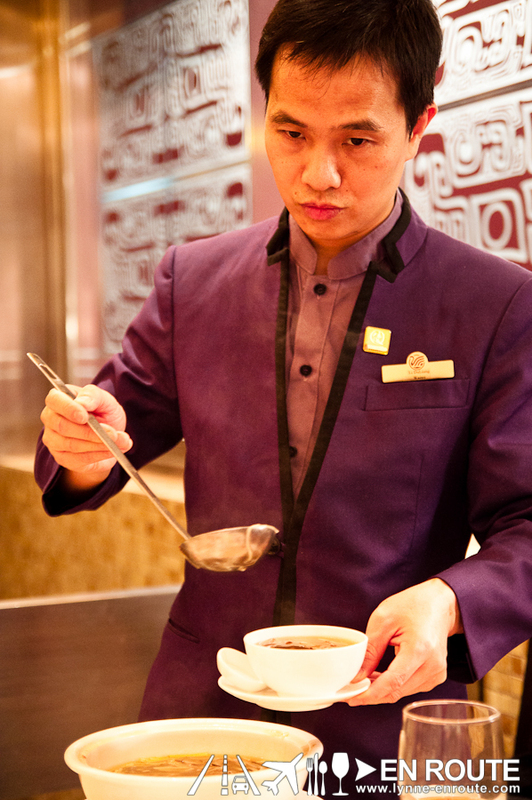 Kudos to the table manager for the very hands-on approach to the tables assigned under his watch, and to our waiter for giving it all his best to try and understand English, and politely asking for assistance when he could not understand what a “fork” was. In some article soon, you will see how food service is so different depending on what country you find yourself in. With that in mind, maybe it’s about time some of the Philippine restaurants take center stage in the global restaurant world with their cooking? Tried Yung Kee? 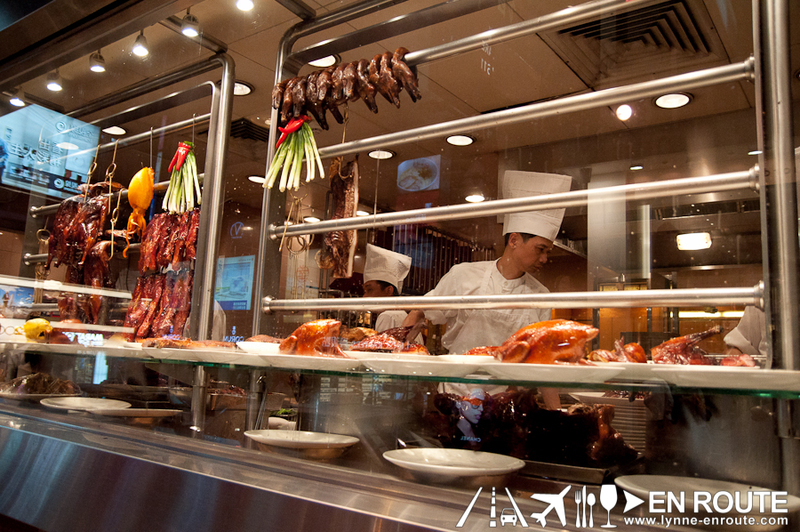 Love its roasted goose? 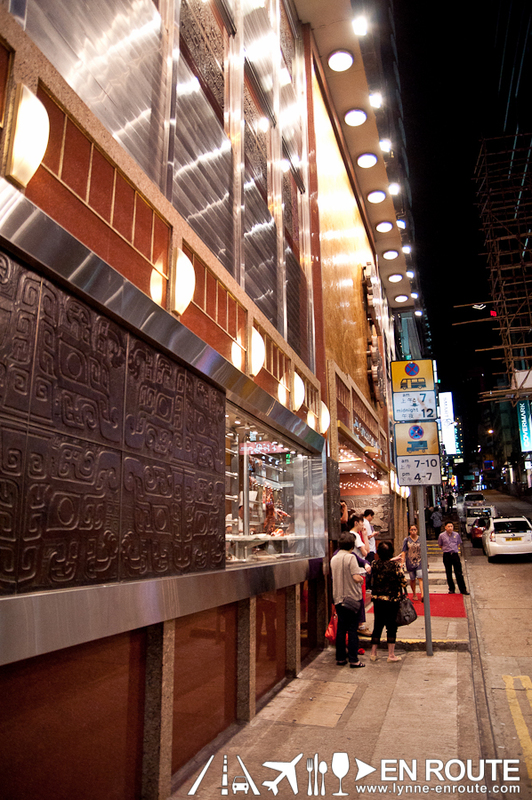 What are other great Hong Kong places?Share your insights and other experiences below.